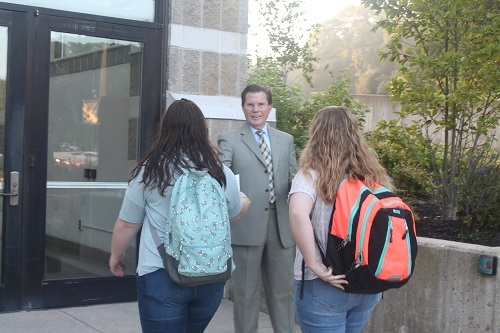 Classes at Glen Oaks Community College began this week with student enrollment up 16 percent. Glen Oaks is only one of just five Michigan Community Colleges reporting enrollment increases (Alpena: 2.9 percent, Gogebic: .93 percent, Lake Michigan 1.7 percent and Washtenaw: 4.5 percent). Most of Michigan’s community colleges are reporting continued declines between 2 and 10 percent. Last year, Glen Oaks experienced a 2.7 percent increase in fall semester enrollment, turning the corner on a five-year downward trend. The college’s largest increase has recently been in the high school population as CTE student enrollment and dual enrollment are both up, and the Early Middle College program was officially launched earlier this year.